Aloe vera gel has long been known for its healing properties. It has been used since the ancient time not only in beauty treatments but also medical treatments. 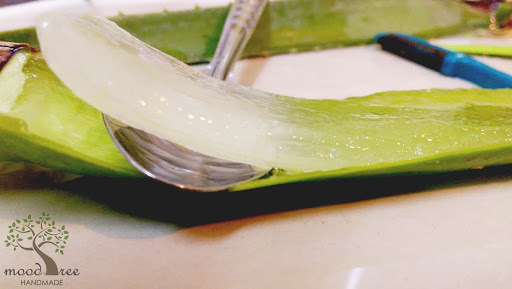 Everyone who loves natural skin remedies know about the skin benefits of aloe vera gel (the marketing information in the internet is overwhelming) but little do people know that the aloe gel works best when FRESH. 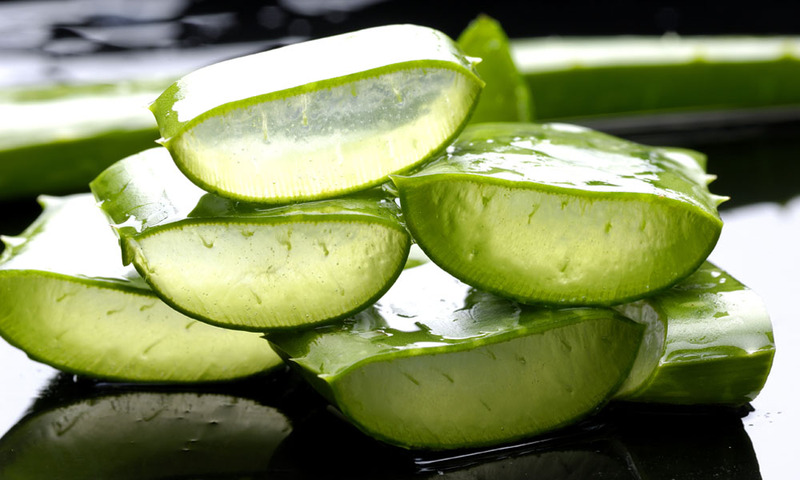 Aloe vera loses its potency for healing when cut and left to oxidize. How to prepare fresh aloe vera gel from aloe vera plant (for topical applications)? How to preserve the aloe vera gel then? All the above methods are meant to prevent/ slow down oxidation of aloe vera gel. Aloe vera gel shows signs of oxidation when it is starting to turn pink or brownish. Depending on how long you wish to store the fresh aloe gel, you may not need to do all the above methods. I kept freshly harvested aloe gel (skinned, juiced and stored in air-tight lotion pump container) without any additives in the fridge and the aloe gel lasted 2 weeks before turning pink. When frozen to cubes (without additives) then kept in air-tight container, the aloe gel stay green for a long time (I never kept them more than a month so I can’t really say how long it can last without showing signs of oxidation – at least a month though). How to use the aloe vera gel as natural skin care? If you are into soapmaking, aloe vera gel makes great water substitute in soap recipes. When used in making soap, it is believed that some of the properties of the aloe vera gel might be lost during the harsh process of soapmaking but some of the healing properties are well preserved in the soap instead – therefore it is still capable of making a great Aloe Bar. 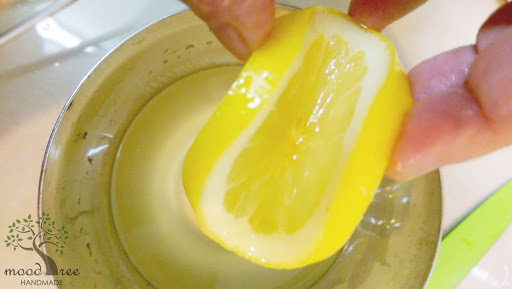 The skin felt more hydrated when using the Aloe Bar soap which is made with aloe vera gel as compared to using soap with the same recipe but made with just distilled water. Stay tuned for the Aloe Bar Soap making recipe! How to choose aloe vera gel? The best and freshest aloe vera gel you can get is...from your garden! If you do not have an aloe vera plant, grow one today - doesn't take much space (a pot is good enough) and it is easy to grow as long as it gets lots of sun. If you must purchase aloe vera gel, you have options of fresh ones in the supermarket, bottled ones in the personal care section, consumable ones in the health food section or organic food section. There are lots of commercial aloe vera gel available in the market since aloe vera is a highly marketed item in health, beauty and personal care. When purchasing bottled aloe vera gel (for external use), I realized there are some products with misleading label saying "Aloe Vera 100% Gel". Looking at the content, it seems that the label actually meant 100% synthetic gel with aloe vera extracts added. This type of "aloe vera gel" may not be suitable for homemade products (at least it can't be used to make soap) but still it is safe on the skin. 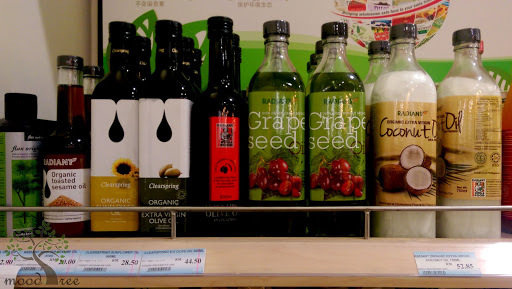 So, read the labels before you decide to purchase. These are some of my favorites (recommended by their customers).